The Blue Bay Village Hotel in Andros is located on the supreme Delavogias Beach, at very close proximity to the seaside resort of Batsi, Andros. 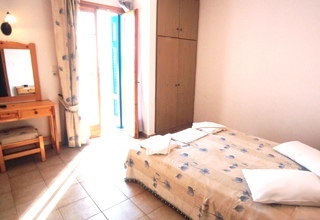 Our hotel apartments and studio in Andros offer a panoramic view of the island landscape and the crystal clear waters of the Aegean, making it one of the most attractive Andros hotels in Greece. 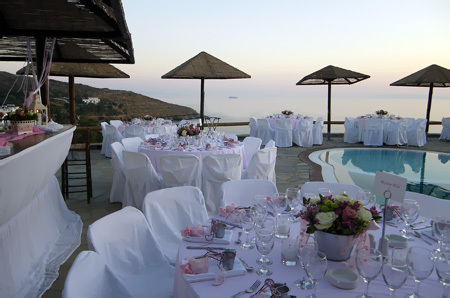 The Blue Bay Village Hotel in Batsi, Andros, is built according to the traditional Cycladic architectural style and is comprised of 17 spacious hotel studios and maisonette apartments. 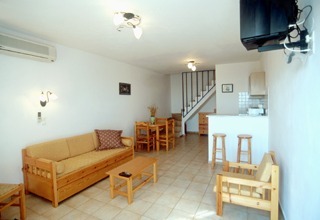 The management of the Blue Bay Village Andros Hotel studios and maisonettes apartments provides its guests with organized hotel facilities and quality services, creating a wonderful Andros holiday resort.